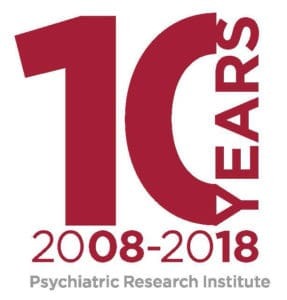 LITTLE ROCK – A team of University of Arkansas for Medical Sciences (UAMS) researchers has received a grant worth $1.45 million from the National Institute on Drug Abuse (NIDA) to study the effects of trauma on adolescent girls in hopes of establishing a direct connection to substance abuse in adult women. Clint Kilts, Ph.D., director of the Helen L. Porter and James T. Dyke Brain Imaging Research Center at UAMS, is the lead investigator for the study. The study seeks to understand how physical or emotional trauma in adolescent girls may alter brain function to result in risky drug use behaviors. The project will also study the relationship of brain function, childhood trauma and drug dependence in adult women to understand why young girls who have experienced some form of trauma are more likely to develop drug use disorders later in life. The investigative team, which includes Andrew James, Ph.D., Joshua Cisler, Ph.D., and Teresa Kramer, Ph.D., will interview adolescent girls between the age of 13 and 16 who have been exposed to violent or traumatic events. Magnetic resonance imaging (MRI) will study brain function in these girls during stressful and impulsive decision making. The team predicts that a history of trauma exposure will alter the brain response during decision making, leading to risky behaviors including drug use. The study will also recruit women over the age of 18 who are drug dependent. These women will undergo the same interviews and MRI scans as the younger subjects. The researchers believe similarities in brain organization between the younger and older women will explain how risky behaviors may lead to chronic drug use and addiction. “People who suffer from drug use disorders face seemingly insurmountable challenges to long-term drug abstinence aided by only partially effective treatments. A better future would involve prevention and early intervention for persons at risk for drug use disorders such that they escape the future burden of addiction,” said Kilts. The research team is recruiting subjects for this study. Interested parties should contact Sonet Smitherman at (501) 526-8386 to learn more about the study. Financial compensation will be available to subjects who qualify for the study.